Recently a big issue surrounding Chapman University is the lack of diversity and President Doti’s opposition to a multicultural center. Many of the arguments claim that he has denied students such a center because he’s racist and “colorblind.” However, I entirely disagree with the student population on this, as I myself, am part of a minority demographic and never felt like I was given less opportunities or discriminated against during my time at Chapman. The general argument for a multicultural center in my opinion, has been entirely contradictory. It goes something along the lines of “We want a separate building to discuss diversity and feel more comfortable being around those of our own race, because this is the solution to ultimately feeling inclusive in the Chapman community.” Let’s think about this logically…the argument is that through separation and segregation, we accomplish immersion? Get it together people. The concept of this center is merely an illusion, it symbolizes the effort, but has no real value in terms of contributing to a solution. If you were really passionate about increasing diversity and global citizenship within Chapman University, shouldn’t you want this ideal and value to be present throughout the entire campus, instead of confined to this standalone center? I usually don’t chime into such political conversations, but you know what, the level of ignorance pissed me off. I believe that anyone and everyone can connect with each other regardless of race, age, gender, and anything we were born with. I see everyone as unique individuals with different perspectives and ideas to share, and I see people for their values and ideas, not for their physical appearance. If this is what you consider “colorblind” then so be it, because this is how you build a deeper connection with other people – you look past the color – you look at who they are on the inside, and that’s what matters most. I’ve been seeing a lot of discussion in regards to the topic of a multicultural center and the arguments for and against it, which gave me an urge to share my personal experience with you. When I visited our gorgeous campus 5 years ago, I just knew it was meant to be. Demographically speaking, I’m a Vietnamese female, first generation college student from a low income household. Yes, this is what the paperwork says, but this is not how I identified myself. And yes, there are a lot of white people and while physically I didn’t look the norm, I never once felt isolated on campus. 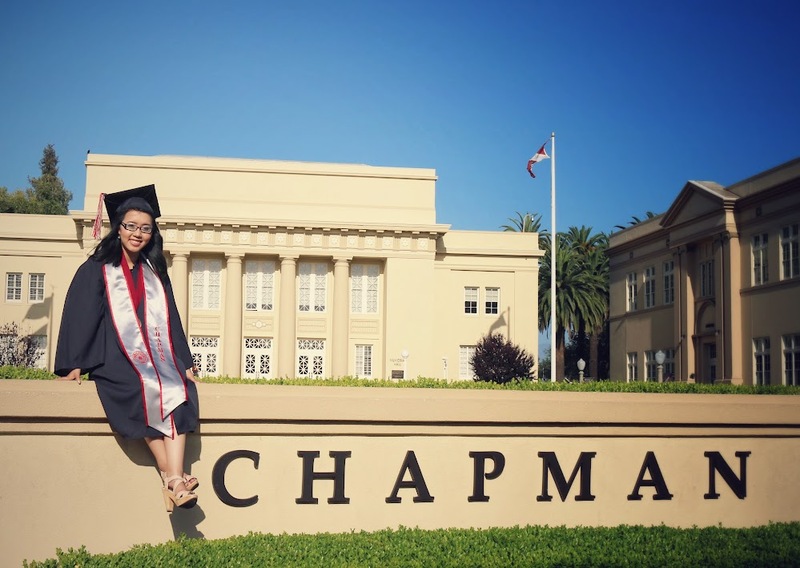 At Chapman, I was a Panther, and part of a community of fellow Panthers. I saw myself through the lense of my passions, education, ambitions, the environment I was raised in, and the people I interacted with. From faculty to staff and administrators, I was able to connect with everyone and anyone because we all shared the same values and goals – to be global citizens and lifelong learners. For four years, Chapman was my home, and it remains so today. I am truly grateful for the experience this community provided me, I love this school so much, you might think I’m obsessed. I’m thankful for all the professors who shared their wisdom and knowledge in the classroom, the students who came from different places and backgrounds who shared their ideas and perspectives, and the administrators who empowered all of us to be better individuals. While I am no longer in school, I am continuously learning new things every day. Just as I don’t need a classroom to be learning, why do we need a multicultural center in order to discuss diversity? Change doesn’t come from a building, it comes from people. When it comes down to allocating budget for either a building or for people, I’d choose people. Rather than focusing on things we’re born with like race and gender, why not focus on the things that connect us. If there’s one thing I’ve learned at Chapman, it’s that life is about the relationships you make and the empathy you share with others that makes it a rewarding experience. So let’s just spread some love and positivity no matter where we are on campus, or where we go in the world.